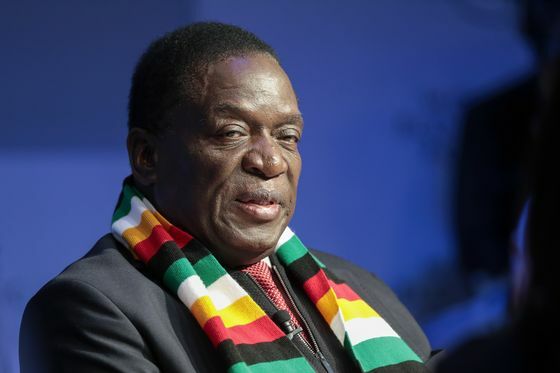 (Bloomberg) -- As Zimbabwe reels from surging inflation and the effects of a devastating cyclone, President Emmerson Mnangagwa is drawing the wrath of the nation’s long-suffering residents with frequent trips abroad. Mnangagwa was in South Africa on Tuesday for a conference discussing regional support for the Sahrawi Arab Democratic Republic, a region of Morocco that wants independence. It’s the third time in the past week he’s traveled outside Zimbabwe, where flooding caused by Cyclone Idai killed at least 179 people since March 16. He’s hired a private jet for some of the trips, according to the Harare-based Standard newspaper. Four months ago, his government unveiled a budget that set out plans to slash government spending to rein in a deficit that’s ballooned to 11.7 percent of gross domestic product and an inflation rate that surged to 59.4 percent -- the highest in a decade. The state needs funds to fix crumbling infrastructure like power and water plants, and bridges that fell into disrepair under former President Robert Mugabe. His trips have become a target for criticism on social media, including from former ministers such as Jonathan Moyo, who is now in exile. Since coming to power in November 2017, Mnangagwa has been on at least 30 foreign trips, according to the ZimLive news website. Calls to George Charamba, his spokesman, didn’t connect when Bloomberg sought comment. In February, Charamba said Mnangagwa is determined to ensure Zimbabwe re-engages with the world after two decades of isolation under Mugabe’s autocratic rule. “Diplomacy doesn’t come cheap,” he was quoted as saying by the state-owned Herald newspaper last month. Among the nations Mnangagwa has visited are Russia, the U.S., Angola and the Democratic Republic of Congo. The trips are “unacceptable” at a time when ordinary Zimbabweans are raising money to help victims of the cyclone, said David Coltart, a human-rights lawyer and opposition official based in the southern Zimbabwean city of Bulawayo. Mnangagwa’s travel has also been panned by opposition lawmaker Tendai Biti, who asked in a March 17 Tweet how Mnangagwa could leave the country at a time when people are mourning victims of the cyclone. “Who does that?,” Biti, a former finance minister, said.